The Sierra Leone Civil War (1991–2002) began on 23 March 1991 when the Revolutionary United Front (RUF), with support from the special forces of Charles Taylor’s National Patriotic Front of Liberia (NPFL), intervened in Sierra Leone in an attempt to overthrow the Joseph Momoh government. The resulting civil war lasted nearly 11 years, enveloped the country, and left over 50,000 dead. In this special Sewa News Stream publication, Mustapha Wai recalls he was on an island less than twenty miles from the border town of Gendema, Pujehun District when the RUF invaded 22 years ago. Below he shares the first two chapters from his book in-progress, A Memoir of a Teenage Boy’s Journey in War, which documents his account of that day and the following four months behind RUF rebel lines. Wai also describes life several years later in NPFL territories and refugee camps in Liberia. As the voice of the captain filled the cabin of the small fifteen-sitter twin engine aircraft, I glanced at my wrist watch. It was exactly 4:15 GMT. We had just boarded a flight at the Spriggs-Payne Airfield in Monrovia for the first leg of our journey to Washington D.C. The day was April 3, 1996. As a Sierra Leonean refugee on resettlement journey to the United States, one thing became certain; I had finally made it out of the war alive. But another remained doubtful; what lies ahead at my unknown destination. I tried to ignore the past by deliberately contemplating positively about the future. But this thought quickly gave way to what became an irrepressible and vivid recount of the past five years. What appeared to be a dream was in fact a silent reminiscence which came to last my entire journey to Washington D.C. It all began exactly five years back on a sunny morning, April 3, 1991. The sun had just begun to rise. My sister Mamie; her husband, Alfred; their five-year old daughter, Matu; and six month old son, Sulaiman; and I had just arrived at the family’s farm. The farm was located on an island off the Moa River near the village of Mbomi, in southern Sierra Leone. Mbomi is approximately twenty-five miles from the border town of Gendema—the main southern border crossing with Liberia. Mamie had quickly settled to prepare breakfast as I looked after Sulaiman. Alfred had just returned from checking on the fish basket. “It was definitely a catch.” He proclaimed. “Look at these Mus,” referring to me by the nickname most in my family call me; while emptying his catch into a saucepan made of aluminum. One after the other came down several crabs, four catfish, eight tilapias, and a herring. “You know what, Alfred?” Said Mamie. “I will fry them and keep some for tomorrow’s dinner.” She continued. “No need to,” Brother Alfred replied. “Let tomorrow cater for itself.” Alfred added in a popular Mende adage which made an inference that we should eat all the catch for today’s dinner and that tomorrow should take care of itself. Looking at Alfred and shaking her head in what appeared to be disbelief, Mamie smiled. “Okay! I am out,” Alfred declared while stepping across the huge plank that lay at the entrance of the farm hut. The plank was used as both a seat and also a bank to keep the water from entering the farm hut when it rained. He quickly disappeared into the field where he had begun plowing rice. As the patty—porridge made of potato―being prepared for breakfast was ready, Mamie set the pot down from the fire. She grabbed the bucket and went to the bank of the river to fetch drinking water. As the patty settled to cool down, Mamie began to ask me questions about school, our mom, and my elder brother with whom I lived in Bo. I had gone to bed immediately upon arrival in Mbomi the night before, tired from my twenty-three mile walk from Koiboma. We therefore did not have time to talk about anything. “How is school” she started. “Fine, I passed all my exams,” I replied. “What position did you take?” She continued. My sister was used to seeing me come home with report cards that ranked me in the top of my class. But after a year off from school, I was only beginning to get back into school mode. Due to my brother’s abrupt layoff from his job a year ago coupled with his subsequent departure for Zimmi Dandai, our mom’s home in Liberia, I came to stay in a boarding home. In the boarding home, I struggled to stay focused in the wake of peer pressure to try everything possible but study. I had just turned seventeen and completed my second semester as junior. I hang my head as I thought about my response to Mamie for I knew like every one of my siblings; Mamie has very high expectations of me. As she noticed I was embarrassed by her questions, she stopped. “Everything will be fine. You have done very well,” she added in an encouraging tone. I looked up and glanced at her face defined by her long broad jaws and nose, the trade mark of my father. She continued to smile. I smiled too. The food had cooled down and Alfred had just returned from the field in time for breakfast. Sulaiman had fallen asleep and Matu has been busy all morning doing pretend cooking. Sister Mamie dished out the patty and we all began to eat. “Boom! Boom! Boom! Boom! Crack, kapow, kapow, kapow, pra-ka, pra-ka, pra-ka.”A sudden loud sound began to fill the skies south-east of where we were. “What is that? I asked in a terrified voice. It was my very first time hearing those kinds of sounds. Alfred proceeded to explain to me that it happens every now and then mostly when the rebels are happy and celebrating. Although he stated that it was across the border over twenty-five miles away, to me it sounded as if they were nearby, right across the river. As the sound continued uninterrupted, I began to notice that Alfred was becoming concerned. I could tell he did not want to show his apprehension to avoid us getting panic. But the sound continued, getting louder and louder by the moment. Mamie stopped eating and sat quietly as if she was timing the intervals between the end of each collective set of gunfire and the beginning of the next round. “It is much louder today and has moreover lasted too long,” Mamie declared. After about an hour, the sound ceased. Both Alfred and Mamie looked at each other and smiled as if they were trying to reassure each other. Alfred got up, picked up the hoe and disappeared into the fields again. Mamie picked up the bucket which was sitting in the corner of the farm house and turned to look at me. She departed the farm hut walking toward the bank of the river with the bucket strapped to her left elbow. I remained in the farm hut and continued to look after Sulaiman and Matu. I reached in Sulaiman’s diaper bag and grabbed his feeding bottle which contained baby homemade baby formula made out of sesame seeds and rice flour. I started to feed him. Matu came walking toward me with a spoon in her hand. The spoon contained product of her pretend cook. She pointed it toward my mouth and said, “Eat”. I smiled and started chewing my mouth as if I had taken a bit of what she had on the spoon. She smiled too and grabbed my lips trying to pull them open in an attempt to confirm I was actually eating her cook. Moments later the feeding bottle was half-full and Sulaiman had falling asleep. Mamie returned from the river and was hanging the clothes on a rope tied between two poles outside of the farm hut. It was around mid-day and Alfred could be seen from a distance walking toward the farm hut. Matu and I stepped outside the farm hut and watched him as he walked toward us. The closer he came; I began to notice he was sweating furiously. He had been plowing rice in the fields all morning and the sun was becoming extremely hot. “Huooo! Hooo! Hooo! Hooo!” the sound came echoing from across the river from the direction of the crossing where our canoe was anchored. “Hooo! Hooo! Hooo!’ It was symbolic of a sound that’s typical of someone calling for the canoe to fetch them from across the river. “Someone is calling from across the river," declared Alfred. “Are you expecting someone,” Mamie asked. “No, No” replied Alfred. He began to run toward the river. The three of us, Mamie, Matu and I stood quietly in front of the hut and waited patiently for the unexpected guest. Moments later, Alfred emerged from the bushes running back toward us. “What has happened?” Mamie asked loudly. “Hurry…pack our things and get the kids ready” yelled Alfred. He ran faster as he yelled this repeatedly. At this time he was much closer. “They said the rebels have crossed the border. We must go to town at once,” he added. We quickly packed our belongings. Mamie strapped Sulaiman on her back with a cloth tied around her waist. Alfred placed Matu in his arms. I strapped Sulaiman’s diaper bag across my chest as we departed the hut for the river crossing. 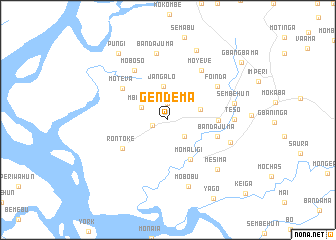 The rebels from Liberia had just crossed into several border towns in Sierra Leone including the main border town of Gendema. At this time, we did not know exactly what the story was other than the fact that the rebels had crossed into Sierra Leone. On our way to town we met several Mbomi residents returning home upon hearing the news. As Alfred questioned others about what was happening, the stories became mixed. While some spoke of rumors indicating that the rebels have come to collect money from traders they’ve entrusted with their loot, others stated that they heard that the rebels have come in search of food. When we arrived in Mbomi, the village was crowded with displaced people from the border towns and villages and Liberian refugees who had been residing in towns and villages close to the border inside Sierra Leone. There were hundreds; many of them were women and children. Most of them looked very tired and weak. They had been running since their towns and villages came under attack by rebels that morning. I could not figure out what to make of what was happening. I went to the Court Barray where most young men my age were hanging out and discussing the event. I began to ask some of the teenagers about where they came from and whether they saw the rebels. Some of them were arguing about what the rebels looked like. It was clear most of these young men did not take what was happening seriously. Not knowing what to make of the rebels, we began to argue about how they had supernatural powers and rumors we’ve heard that they are devils. Some of the young men were confident the rebels had magical powers and could disappear and re-appear in matter of a moment. “If they wanted to be here right now, they could just appear from the air.” One of the boys who had been referred to by his friends as Blama declared. We did not know the rebels were actual humans like us. But as the argument continued, one thing was obvious. There was something to worry about. I could recognize the anguish in the eyes of most of the older people. While I had never had experience with war, this began to disturb me. These were devastated people running nowhere fast and looking for whatever they could find to eat. Most of the residents of Mbomi including Mamie began to offer the displaced and refugees whatever food they had. Mbomi was so crowded with people to the extent that there were not enough houses to shelter everyone. The crowd continued to pour into the tiny village that had a population of about two hundred residents at normal capacity. It was now approaching dark. And by then, there were almost more than one thousand people crowded into Mbomi. The story began to change as more of the Liberian refugees continued to arrive in the village. New rumors began to spread that the rebels had come to bring back to power the SLPP [Sierra Leone People’s Party] political party which had been dormant for over two decades. But another twist to this SLPP rumor was the fact that a man called Foday Sankoh was named to be the head of the movement called RUF, which had allegedly come to bring back SLPP to power. But something about this rumor began to ring bell. About a month earlier before I left my boarding school in Koyeima― approximately twenty miles north of Bo, there was a BBC Focus of Africa program aired in which a man claiming to be a rebel leader by the name of Foday Sankoh had promised an attack on Sierra Leone in ninety days. I began to wonder whether this was the attack that was promised. By that time, I began to take what was happening seriously. I thought about my mom and grandmother both of whom I had left behind in my village, Koiboma. I wondered what would happen to them if they had to become displaced in my absence. With these thoughts, I decided I needed to return to Koiboma immediately. I called Mamie on the side and told her I wanted to return to Koiboma the next day. She agreed with me and cautioned that I therefore needed to go to sleep and get some rest. I bid her goodnight and then went to bed. As I lay in bed, I heard sporadic sounds of gun fire including automatic rifles and heavy artilleries started to rise through the skies again. This lasted for more than an hour. I found it hard to sleep as I lay there with my eyes gazing at the roof. The noise from the crowd grew louder as more and more displaced and refugees continued to arrive. After few hours, I fell asleep. But few hours later, around six o’clock in the morning, another round of gun fire sounds roared in the air. The sound became louder by the minute and was coming from several directions this time. I got up, packed my bags and went to the kitchen where Mamie was found preparing breakfast. “Good morning” I greeted her. “Didn’t she hear all the gun sounds all night?” I murmured to myself. “The guns, I hardly slept,” I replied. I took the bucket filled with water and went to the bathroom to take a shower. Upon return, Mamie had finished preparing breakfast. She then handed me a bowl filled with fried potatoes and ground fish and vegetable stew. “Take this with you and eat them on the way.”She also loosens the tip of her lapa and gave me five notes of twenty Leones each. I hang my head and smiled in excitement. I then raised my head and glanced at her face. She was smiling too. Moments later Alfred entered the kitchen and reported that the government soldiers and members of Special Security Division (SSD) had arrived in Mbomi. The men had instructed everyone to gather at the village square next to the Court Barray for an important message. Mamie and I immediately followed Alfred to the village square. Hundreds of people including Mbomi residence, and displaced and refugees converge at the village square. Under the Court Barray, were seven men; four soldiers, three of whom were dressed in woodland variant camouflage and the other in an olive fatigue. The three SSDs were dressed in blue urban variant camouflage. Two of the men were armed each with what appeared to be old G3 automatic rifles, two with Uzi, and the other three were unarmed. Four of the officers were sitting on a long bench at the entrance of the Court Barray while the others stood guard outside. As the men looked at the crowd putting up what appeared to be smiling faces, I could tell the smiles were not real. I began to wonder these men had seen more than they were trying to portray. The more they tried to remain calm, the more they looked wary. As they addressed us, they took turns to scanning the gathered crowd of displaced and refugees as if they were expecting something to happen. The one who appeared to be the leader rose from his seat and walked to the steps of the Court Barry. In a deep heavy voice, the short muscular figure with long beard introduced himself as sergeant Kamara. He continued in Creole while an interpreter translated in Mende. By now there were murmuring all over the crowd as everyone tried to make sense of what the soldier was saying. Without entertaining questions, the men immediately placed their backpacks on their backs, stepped out of the Court Barray waved their hands to the crowd as they departed the village. I began to wonder what to make of the officer’s message. I thought quietly to myself for a moment. Do you mean the soldiers are fleeing leaving us behind? Will they ever come back? What will the rebels do when they arrive here? Of course, my questions were not meant to be answered but instead formed the basis for my next decision given what was becoming a helpless situation. Standing behind me the whole time unnoticed was Alfred. He pulled me by my arm. I turned around. I was a little shaken for I was lost in my thoughts. “Let’s get out of here,” he instructed. We both walked back to the house. Sister Mamie had also just returned from the square and like everyone else, she looked very worried. Sulaiman was on her back and crying furiously. Alfred gave him his feeding bottle and he began to sip on it. “I must go," I declared. They both walked me down a small dusty road leading down to a small creek. The creek was about two hundred yards from the town. The couple stopped before the bridge. I climbed over the bridge and crossed to the other side of the creek. The bridge over the creek was made of four logs made out of palm trees. Two logs on each side placed in what appeared to be carefully calculated distance apart so as to allow vehicle tires to climb past. I stopped as I climbed down the bridge. In a shaky voice as if she was about to cry, Mamie advised me “please take care of yourself and look after our mom and grandmother. "May God guide you.” We bid farewell and I continued my journey. Not knowing what to expect en route, I began to contemplate alternative actions. What if my mom and grandmother had fled by the time I got to Koiboma? What if a rebel solider jumps out of the bush and attacks me? I became more nervous as these thoughts travelled through my head. Every movement or sound around me began to scare me. When the birds cried in the bushes, I ran as fast as I could; when I heard animal footsteps through the bushes, I ran for cover. With a twenty-one mile journey on foot lying ahead of me, my fear though founded began to make less sense. I quickly thought to myself, “if I am going to die before I get to Koiboma, I will, and nothing will stop that. So, for now, I need to focus on the journey and run as fast as I can.” I started to become calm as I continued my journey. I ran as fast as I could. I walked when I became tired. I ran when I became rested. As I went passed Sacorla―the first village on my way―I saw more displaced and refugees from the border towns. The roads were filled with people. The woman and children looked the weariest. Most had all their belongings they could carry packed in bags with U.S.A boldly embroiled on them. The bags were salvaged from relief rice rations which had been distributed by the World Food Program to Liberian refugees inside Sierra Leone. Children were on the backs of women while others were being carried in the arms of the men. Most of the old people were too tired to walk and were sitting by the road sides. Their family member sat next to them waiting. Others were carried in hammock by gallant men. Several hours after passing Sarcola, I passed through several other villages and all the scenes remained the same. I arrived in Njaluahun, a town located on the main road leading to Zimmi. Zimmi was a major town connecting several border towns. Koiboma was now only three miles away. At the Court Barray in Njaluahun were large groups of people gathered mainly young men. I recognized a few of the young men in the Court Barray although I did not remember the names of any of them. I greeted them and took a seat on the cement block in the center of the Court Barray. “Where are you coming from?” One of them asked me. I explained to them where I was from and what I had witnessed. “Well, you have not seen anything yet.” A young man who looked to be around my age declared. "We are not going anywhere,” in a reassuring tone, the young man declared. As he continued to explain his basis for such a decision, his position became even more compelling. He went on to explain to me how they’ve heard that the rebels are now in Zimmi, only twelve miles from Njaluahun. He added that the rebels have promised to take the entire country in three months after which everyone will go back to their normal business. I began to wonder how the young man came to know all this. “Last night, one of the displaced men who slept in our veranda told us the stories. He even told us that when we see the rebels, we should hold palm leaves in our hands and they will do us no harm.” The young man ended his story. I was a little reassured by the young man’s bold narrative. I woke up and informed them that I was leaving. “See you guys again,” said and departed. I decided to take the bush path to Korigboma instead of the motor road, because the bush path was a much shorter route. As I approached the river between Njaluahun and Dendegahun—the next and final village in my journey before Koiboma― I saw a group of monkeys sitting in palm trees. The palm trees grow widely by the bank of the river. As I watched them, I noticed they were feeding on the palm fruits. One of the monkeys saw me and began to watch me in turn. It was interesting to watch the monkey as it watched me. When I peeped left, it did the same. When I bent right, it did the same. This was a trick I came to know growing up as a kid when we went into the forest with friends. Several of the monkeys had white stripes on their nose. This was symbolic of a special breed of monkeys referred to in Mende as “Hokparlakway” meaning “white nose”. For a moment I was having so much fun with these animals that I had forgotten about what was unfolding. Suddenly, a bird started crying deep in the forest. I could recognize the cry to be the sound of a raven. My mother had once told me that this bird only cried to symbolize that some disaster is about to hit the community. She had explained that every time this bird cried, either someone great was about to die or clans were about to go to war against each other. With this thought, my fear had returned. I began to continue my journey hurriedly. As I arrived in Dendegahun, I noticed the town was crowded. I went by one of my late father’s friend’s―Brima Kanneh―house to say hello. Brima Kanneh owned a small shop in the village and sold mainly groceries including candies and gums. As I approached his shop, he recognized me. For in our tradition, as a sign of respect you are not called by your first name if you were named after someone known in authority or an elder. In my case, I was named after my grandmother’s brother, who was once a Paramount chief. One thing was always certain about my visit to Brima Kanneh; I always got candies when I was about to leave. “Where are you coming from?” he asked. “Mbomi.,” I replied. “How is Mamie doing?” he added. He went on to talk about the news about the rebels and how terrifying the stories of the refugees and displaced who have come to Dendegahun have been. He ended his story on the note that his business has been doing very well over the last twenty-four hours. He stated that he was beginning to run out of inventory and had plans to go to Bo in order to buy more goods. None of what he said indicated he was planning to leave. It was obvious he was not planning to leave. I bid farewell to him. He reached into the jar filled with taffy candies and came out with a hand full. I leaned over holding my pockets open and he carefully poured the candies into it. “Thank you” I said with a smile on my face. I began to eat the candies as I disappeared between the coffee trees to begin the final leg of my journey. As I approached Koiboma, the sound of the drum symbolizing adhan― the call to Muslim prayers―came blasting through the forests. It was around four o’clock in the afternoon and time for Salat-ul-'asr – the third of the five daily Muslim prayers. As I came through the final curve, I began to see Koiboma in the distance. The village appeared to be crowded and grew noisier the closer I got. I had finally arrived in Koiboma. I hurried to my parents’ house only to find that everywhere was filled with guests and strangers. Even my room had been given away to guests. Most of them were relatives from the border towns including my cousin, Lamin and his family. They were all sitting quietly very close to their belongings still packed intact. There was no doubt they appeared ready to run any moment as if they were waiting for instruction to start a race. “Hello everyone,”I said as I took time to shake everyone’s hand calling those I knew by name. I went into my mom’s room and noticed everything was packed in bags. My mom was not in the house however. “Where is Yea Semuteh?”I asked for the whereabouts of my mom. “She is in the kitchen,” replied Lamin. “She has not eaten since last night worrying about everything,” he added. I ran to the kitchen which was detached about thirty yards away from our house. Mom was standing akimbo at the entrance of the kitchen starring into the open. As she saw me approaching, she ran towards me with her hands open. As she hugged me, I noticed tears running down her eyes. “Oh! My son, I was worried about you.” She continued. How is your sister and her family doing? Have they left Mbomi?” She continued to ask the questions one after another as if she was not interested in an answer. “Where is Mama Guweh—my grandmother?" I asked. “She is in the kitchen,”she replied. I went into the kitchen to see my grandmother. She was sitting next to the fire place. On her left was her walking stick which leaned on her left arm. And in her right hand was a lid which she was using to fan the fire into blaze. “What are you doing Mama Guweh?” I asked. “I am warming some water to take a shower.” She answered. I took a seat in the hammock hanging in the middle of the kitchen. I proceeded to explain my ordeal to both of them. They sat quietly and without interruption and listened to me. When I finished my mom proceeded to ask me an unrelated question. “Well, he sent a message stating that you ran away without permission. He requested in his message that I send you back to Bo.” She continued. My mom was particularly disturbed. She did not want my brother to get angry with me. He had raised me since I was seven and I had never gone anywhere without his approval. Given the war now fast approaching, I knew I was not prepared to leave my mom behind. “With the war approaching, I would rather have you stay with your brother in the city,” continued my mom. The more I thought about what would have happened to my mom behind rebel lines without me, the less I regretted my decision to have left Bo without my brother’s permission. “What about you?” I questioned. “If I have to leave, I will have to leave with you both plus Massa and her kids.” Massa is my second oldest sister. I proceeded to explain to them the rumors I’ve heard that the rebels are going to take over the entire country in three months and the war will soon be over. I also began to rationalize my decision by explaining to them stories I’ve heard about how the Liberian rebel war was more brutal in the cities than the villages. “Listen, would you rather be locked up for days if not weeks in a house in the city while rebels and government soldiers fight it out or would you rather stay here?” I asked. “You are right” my mom confirmed. “Here, if things get tough we can go to the bush and farms to find food but in the city there will be no food if the market is closed,” she added. Our decision to stay in Koiboma was beginning to become well-founded. Many other families including some of the displaced and refugees who had been living in Koiboma also decided to stay. 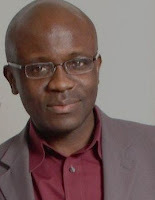 Mustapha Sulaiman Wai is a native of Sierra Leone and an active contributor to the discourse on Sierra Leone public policy matters. He is currently managing partner of Wai & Associates—a public accounting and consulting firm in Washington D.C. Wai is a certified public accountant, a certified management accountant and a former director at the National Aeronautics and Space Administration (NASA). He completed his bachelor's degree in accounting at American University Washington D.C. Wai also holds a master’s degree in business and management (highest distinction), from the Smith School of Business, University of Maryland College Park. His professional experience includes serving as accountant, auditor and financial manager with leading companies including Deloitte, where he was assigned as a senior auditor at the World Bank. He also serves in several professional roles including Taskforce Member of the U.S Office of Management and Budget’s (OMB) Financial Management and Internal control Working Group and the Accounting and Auditing Policy Committee of the Federal Accounting Standard Advisory Board. Wai has received several professional awards for his achievements including the American University "Trail Blazer" award, Deloitte "Outstanding Performance" award, the NASA "Exceptional Achievement" award and the prestigious Association of Government Accountants 2012 "National Emerging Leader of Excellence" award. Sierra Leone | Food, Glorious Food!